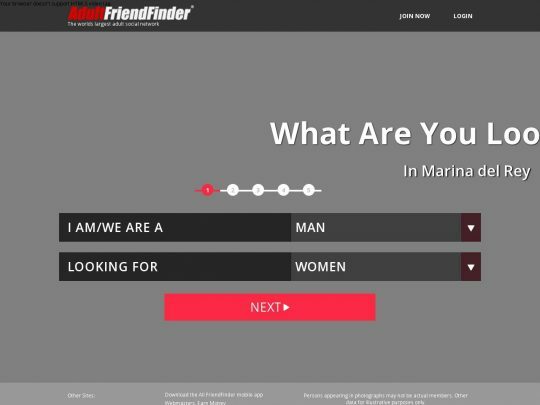 The most popular place on the Internet when it comes to arranged sexual encounters is definitely the AdultFriendFinder.com. With the BestPornMenu’s review, you will understand just why people pick this website over all of the other similar sites. First of all, this well-established dating site for adults still continues to attract a massive number of users who are looking for hot hookups, both in the online and the real world. Even as the new dating sites are launched every month, the AdultFriendFinder.com continues to stay at the top, being the magical oasis of adult videos, live member webcams, adult chat rooms…etc, for all of the singles out there. This hookup site covers all of the basics when it comes to online dating; however, it goes a bit further, making its customers’ experiences much more enjoyable. 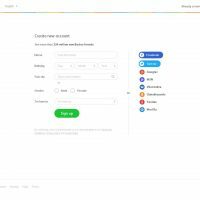 When you first enter the site, you will be presented with a classy yet modern design with a window that will help you signup right away (the signup is a 2-minute process). Without a membership, you still have the ability to browse through some of the people who can be seen on AdultFriendFinder.com, however, you can’t really take a closer look at their profiles. Once you became a member, you’ll get to browse all you want, and search for your perfect match. On the Homepage, you will get the regular options, such as the ability to see who is online, new matches, members who are near you, members who are broadcasting and the VIPs. You can also search for the members yourself. The ‘Message Center’ tab is quite self-explanatory, together with the one beside it for the notifications. However, when you hover over ‘My Stuff’ you will get to choose from a number of options. From writing your own blog post to viewing who your top fan is. This is also where all of your favorite videos and photos will be placed, together with anything else that might help you personalize your own profile. With their ‘Search’ tab it is really easy for anyone to find their perfect match. You can search by the given filters, such as woman, men, couples, ts…etc, or you can just browse them randomly by their last visit, newest or distance. Built-in the site is the point system, and those points can be either bought or earned through the on-site activity and you can use them to tip the member updates, member videos or images you might like. You can also use them to buy ‘bling’, or to purchase free membership months along with other prizes. With your free membership, you are not really allowed to contact anyone on the site, but you should fulfill your profile completely (it consists of 12 sections), by uploading HD photos and simply wait for other people to contact you. This mature dating site that attracts over 30mil visitors a month, AdultFriendFinder.com has a lot of different options for their members to enjoy. With such a huge variety of different ways to display your interests and ‘decorate’ your profile together with their advanced searching mechanisms, finding the people who match with you is quite easy. Therefore, if you are looking for an amazing sexual experience online or in the real world, you will definitely find your preferred man/woman on AdultFriendFinder.com.